The first "regular" dental visit should be no later than your child's first birthday or when they get their first teeth. We will gently examine your child's teeth and gums. X-rays may be taken (to reveal decay and check on the progress of your child's permanent teeth under the gums). We may clean your child's teeth and apply topical fluoride to help protect the teeth against decay. We will share information with you on healthy diet, those that promote healthy teeth and those that don’t. We do the check-in process, we work based on appointments, we don't overbook our schedule to avoid long wait times, just for the first visit to our office you can spend more time during the check in process, where we collect all the information to know your kid better in terms of health, we verify previously your insurance in case you have one, so you can know at the beginning of your appointment if there is any co-payment for your visit. Remember, we just help to process the claim for your insurance but the full financial responsibility belongs to the policy holder. We work based on what the insurance told us what is cover and what is not, but they doesn't guarantee payment until the claim is received, this is why we focus a lot to verify each insurance to let you know in advance what is cover and what is not. In case of X-rays are needed, we take only those needed, with high level technology X-rays machines providing the minimum exposure possible. 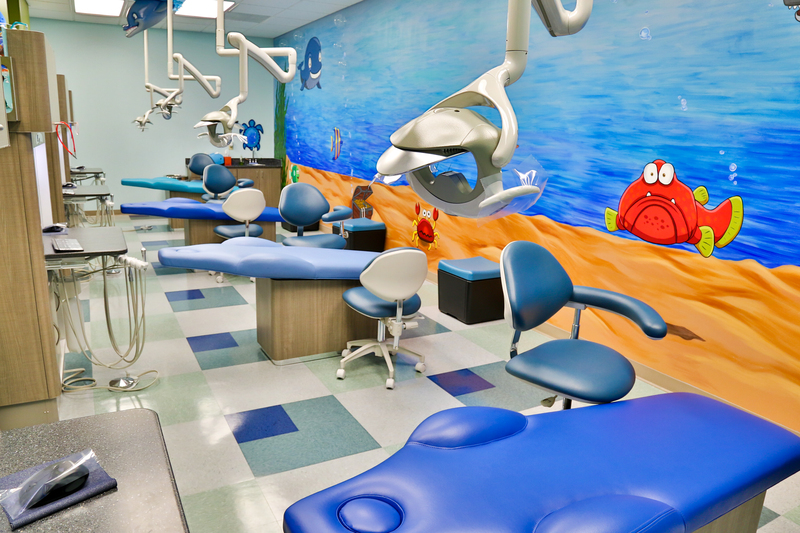 Our pediatric dentist will do the examination very patient and gently, sometimes kids are scare, but the most important part is work with them to reduce the level of anxiety, with the time they will realize nothing bad happens in a dental appointment. One of our Dental assistant apply the fluoride in case is require and approve by parent. Fluoride is recommended and is not harmful if is applied in the right amount, but we respect the decision of parents about that, just request it or not. Last but not least, one our dental assistant will help you with the check-out process. It's fast, simple and we try to make it fun for the kids. Safety in every procedure is our priority number one at our office, we try our best but some times we just need to give the kids time, and use behavior management from parents and pediatric dentist. Together we can do a great dental experience.